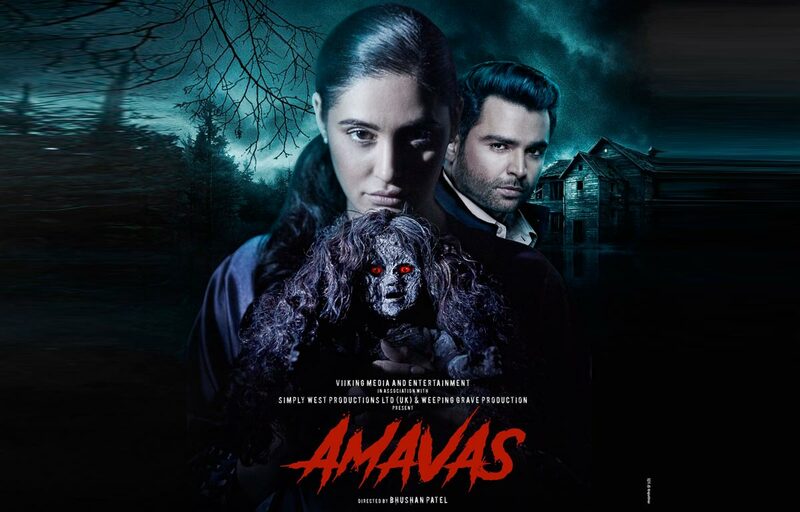 Amavas is about a rich businessman Karan (Sachin Joshi) and his lover Ahana (Nargis Fakhri). They live together in Mumbai that too with his grandma and Karan wants to take one step ahead and propose to Ahana in Paris, but Ahana wants the ritual to take place in Karan’s summer mansion in remote England. The rest of the story is predictable. The mansion’s dark secrets give Karan and Ahana sleepless nights filled with supernatural happenings. The mystery behind Karan’s odd behavior is unraveled in a painstakingly long manner. His gory past is dictating his present. It is quite another thing that the logic fails to buy us and we are left wondering why on earth is Bhushan Patil following his horror guru Vikram Bhatt and keeping on churning out funny horror flicks. In this one, Mona Singh who is Karan’s psychiatrist claims that her tattoo — a religious Hindi symbol of ‘Om’ engraved in her hands — will be a safe deterrent to protect the hero and his muse from the evil forces.